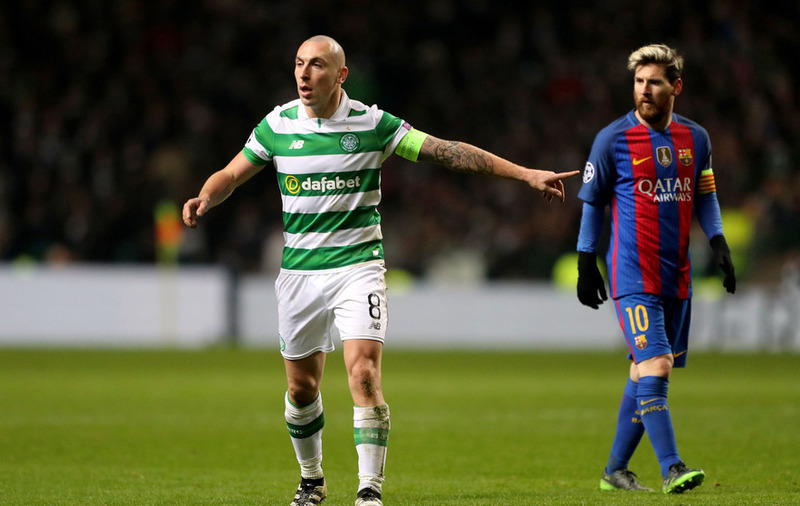 SKIPPER Scott Brown returns from suspension to boost top-of-the-table Celtic for their Ladbrokes Premiership game with Partick Thistle tomorrow night. The Hoops midfielder missed the 2-1 home win over Dundee on Saturday after going through the disciplinary points threshold. Celtic Boss Brendan Rodgers will assess midfielder Tom Rogic, who stayed in at the interval with an ankle knock while winger James Forrest (hamstring) and left-back Kieran Tierney (ankle) remain sidelined. Provisional squad: Gordon, Lustig, Gamboa, Izaguirre, Toure, Sviatchenko, Simunovic, O'Connell, Sinclair, Brown, Bitton, Armstrong, Rogic, Roberts, Dembele, Ciftci, Griffiths, Christie, McGregor, Mackay-Steven, De Vries.